Motion sickness – Will anything work? A motion-sick kid is not a brilliant way to start a road trip. Or boat trip. Or plane trip. Or any kind of trip. The tell tale ‘Mum, I feel funny’ comment from the back seat followed by a futile plastic bag search can turn a family car into a ‘Vomit Comet’ in 10 seconds flat. But never fear because we’ve put together a recipe to help prevent car sick kids, and it’s super quick and simple. 1) One child 6 years or older who gets motion sickness when you least want it. Can be substituted with an easily queasy adult. 2) A journey you are looking forward to. Doesn’t matter whether it’s by road, air or sea, as long as there are loads of twists, turns, rocking, swaying or any kind of ill-inducing motion. First, nip down to the pharmacy and grab Sea-Legs. It’s the No. 1 motion sickness treatment in New Zealand¹ so practically any pharmacy will have it. Next, the night before your journey or at least an hour prior to leaving, give your child (must be over 6) Sea-Legs. 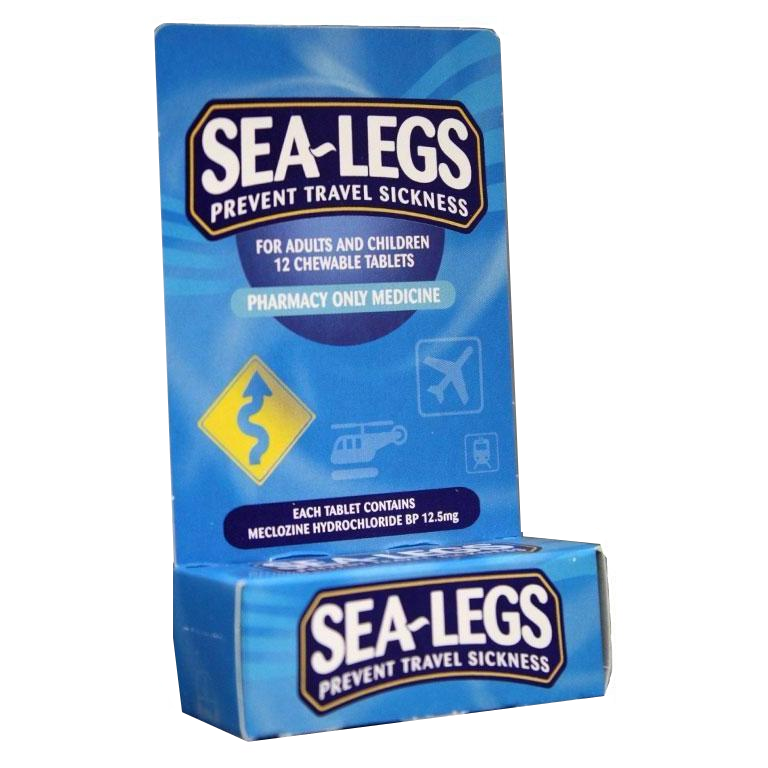 This shouldn’t be a problem as Sea-Legs is virtually tasteless, chewable and can be taken with water. Finally, standard suggestions to keep things queasy-free include no iPad, mobile phone or books in the back seat. Keep their head up and in fresh air if possible. Even redirecting air-con can help. And last but not least, not too much rich or fatty food at the truck stop. So there you have it. Follow this easy recipe and you’re more likely to have a smooth trip, and most importantly, escape a nasty clean-up job at the other end. May cause drowsiness avoid alcohol and driving. Pharmacy only medicine. Always read the label. Use only as directed. If symptoms persist see your healthcare professional. Free phone Radiant 0508 7234268. Distributed in New Zealand by Radiant Health C/- Supply Chain Solutions, 74 Westney Rd, Airport Oak, Auckland.